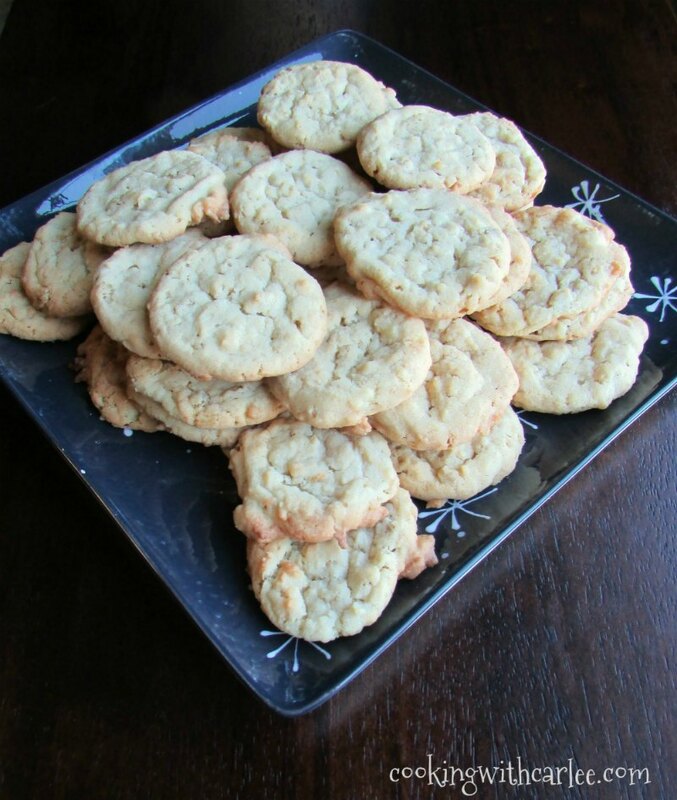 These cookies are crisp and buttery. Filled with a "cuppa" this and a cuppa that, they are sure to win you over! A cup of this and a cup of that is all it takes to make these light and crisp cookies and your family will be full of gratitude! 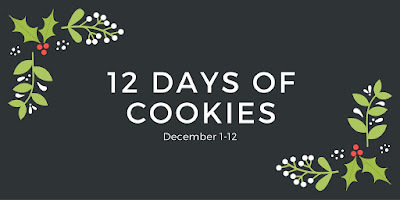 It is finally here, the 12 Days of Cookies!! It feels like it has been a long time coming... probably since Ellen from Family Around the Table and I started talking about it months ago. Really, I think it's been in the works since mid-summer. So it kind of feels like it has been a long time coming, but of course life has a way of sneaking up on you so it also kind of feels like it was just a figment of our imagination a moment ago. Either way, I am really excited to be sharing some delicious cookies with you and I cannot wait to see what my friends have been baking up. Now back to the matter at hand, Cuppa Cookies. The ingredient list may seem a bit long, but it is really a list of pretty common ingredients that you might already have on hand anyway. In fact you might be looking for the perfect use for that little bit of this and that you have laying around. 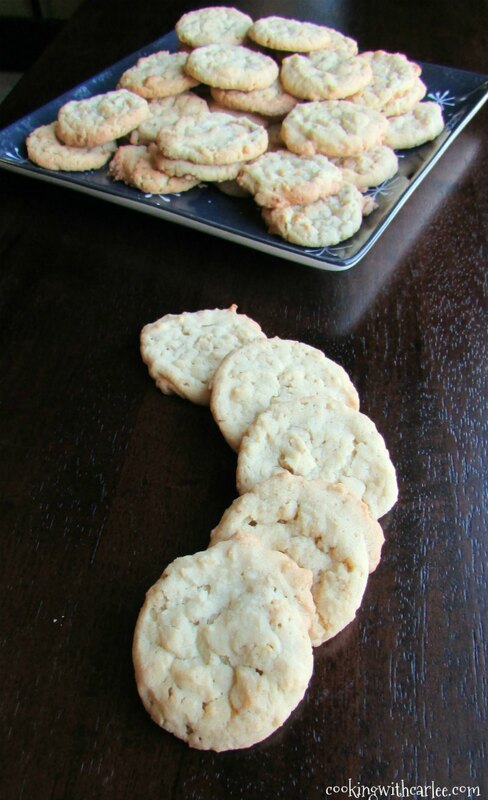 The best part is the recipe makes a lot of cookies without any superb effort. So, they are a great way to help round out those cookie trays you are bringing to holiday parties, neighbors and coworkers. Of course, I had to make these long before I cold actually pass out trays of Christmas cookies. So, I made a batch for our Chili Cookoff. They were perfect for munching on between yard games and after a bunch of chili. I also took a tray to share with my coworkers. A couple of dozen cookies didn't even make it through the day. The rest I placed in some air-tight freezer bags and through them in the freezer. Matt has been working around the clock, so I pulled some out for him and the guys to snack on not too long ago. I kept a couple aside, you know for quality assurance sake, and they were still great! So feel free to make them ahead and freeze them for when you need a little pick me up! 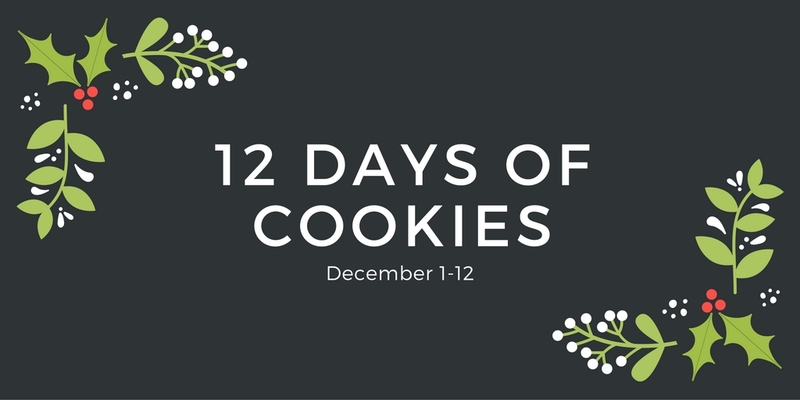 There are going to be so many great cookies shared over the next 12 days. Some are real classics, some sound extra fun and some are things I have never even heard of. I can't wait to watch in unfold. What are your favorite Christmas cookies? Preheat your oven to 350 F and get your cookie sheets ready. Cream together sugars and butter. Add oil, eggs and vanilla and beat to mix. Stir in dry ingredients until completely mixed. Drop by rounded teaspoon full (I used my small cookie scoop) onto cookie sheets. Cool on cookie sheet for 5 minutes then remove to a wire rack until completely cool. Being British, 'cuppa' to me means a cup of tea, which I'm sure these would go perfectly with. Sound tasty! They would be perfect with your tea! Thanks! These seem awfully familiar to me! My mom used to make a cookie that had very similar ingredients. We called them Children's Cookies (not sure why?!) I sure hope they're similar, because they are awesome! I hope they are similar too! That would be so much fun to have Children's Cookies again! I love cookies that are a bit of this and a bit of that. It makes me think of the way my Grandmother used to bake. These are so yummy sounding. And if grandma did them that way, it has to be good! Thank you! I love this "cuppa" recipe! Can't wait to try it. I love the name of these cookies. I thought perhaps they would contain coffee as in "cuppa". They sound delicious, can't wait to try them. Thanks so much for hosting this event. They'd be great dunked in a cuppa! They are definitely worth making sometime. Thanks for baking with us! Oh yeah... These sound so good! Love the name, too! These sound so good and I love the light color! I LOVE simple recipes like this!! And they look so delicious! Aren't they the best? Thank you! Love those ingredients, and that they freeze well!YUM! They really make a great cookie, thank you! What a great combination Carlee!! These look really good, can't wait to try them. Thanks for another great recipe!!!! Love the name and love the ingredients! 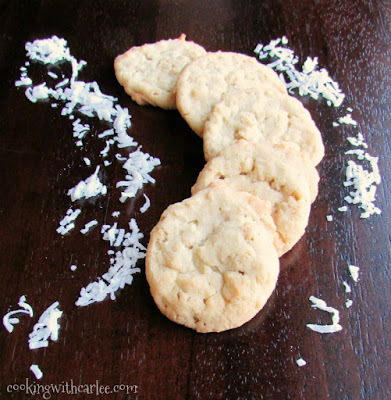 What a great way to make cookies! yummo. That is all I have to say, as I stuff some of them in my mouth! Thanks for sharing at our cookie swap! Celebrate365 Cookie Exhange!